German U-boats are still attacking Allied shipping, their crews pushed to the limit of endurance in a desperate efforts to inflict unsustainable losses on the enemy. By now though there is clearly little likelihood of the submarines winning the war for Germany; the claims by Admiral Holtzendorff that the U-boats could end the war by the autumn of 1917 now seem laughably naive. Declining morale and the sending forth of U-boats crewed by insufficiently trained crews is taking its toll on the submarine fleet. Today in a bizarre episode the UB-85 is lost after its crew forget to close a hatch when it submerges. Water enters the U-boat, disabling its electrical engine, and forcing it to surface but the submarine could still have used its diesel engine to escape approaching British ships. Instead its commander orders his men onto deck, where they shout “we surrender!” at the British before abandoning ship. The UB-85’s mission had already been one of complete failure, with every torpedo it fired missing its target. In Palestine Allenby has been ordered to prepare his best troops for despatch to the Western Front, where they are needed to face Ludendorff‘s spring offensive. However the British general is determined to have one last crack at Amman in Transjordan before he has to go on the defensive. Today Australian and British troops cross the Jordan and secure the town of Salt, in preparation for an attack on Amman itself. But then things begin to go wrong. German and Turkish forces materialise out of nowhere to launch an unanticipated counterattack of unexpected strength. Liman von Sanders, the German commander of Turkey’s forces in Palestine, has somehow got wind of Allenby’s plan, through treachery or the interception of British wireless messages. The Australians and British find themselves heavily outnumbered and in danger of being cut off. Reinforcements are quickly sent across the Jordan to their aid, but there is no longer any prospect of capturing Amman: the expeditionary force is fighting for its survival. Ludendorff has been trying to win victory on the Western Front, attacking first in the Somme sector and now in Flanders. Exhaustion and mounting casualties are leading to a slackening of German efforts while reinforcements, particularly French reinforcements, have strengthened the Allied defence. Today the Germans make another push near Ypres, attacking French troops who have relieved their battered British allies. However, unlike at Kemmelberg, just a few days ago, the French hold firm. German gains are minimal. 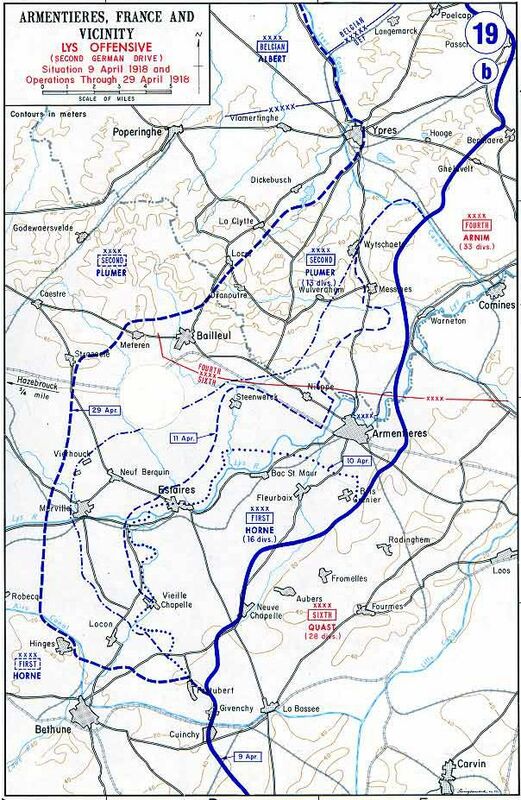 Realising that no further gains are to be had, Ludendorff halts this phase of the offensive. The Allies have survived again but the Kaiser’s Battle continues. Ludendorff now ponders where to land the next blow. Time is however beginning to run against him. The fighting in the Somme cost the British some 178,000 casualties, the French 77,000 and the Germans 239,000. The Flanders offensive has cost the Allies another 118,000 casualties and the Germans some 95,000. But the Allies have greater reserves of manpower to draw on, particularly now that American troops are starting to arrive in France. Worse, the German casualties are concentrated among the elite stormtroopers and assault troops, the men Ludendorff can least afford to lose. The Germans need to win the war soon, before Ludendorff’s offensives destroy their army. Germany detached Ukraine from Russia in the Treaty of Brest-Litovsk. The Germans also negotiated a separate deal with the Rada government of Ukraine, supplying German troops to guarantee their security in return for shipments of grain. Unfortunately for the Germans, the Rada’s ability to extract grain for Berlin has proved less impressive than expected. Peasants have resisted Rada attempts to requisition grain and something akin to an agrarian insurgency has developed in the country. The Rada seems unable to maintain order. In response the Germans overthrow the Rada and install Pavlo Skoropadsky as the new leader of Ukraine. 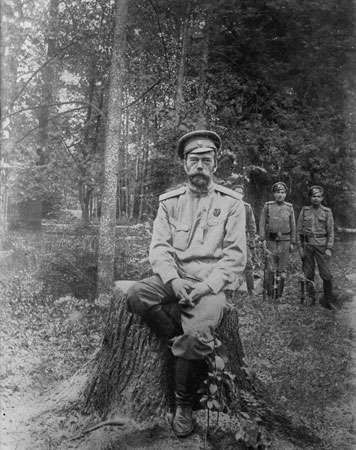 A former general in the Tsarist army, Skoropadsky takes the title of Hetman and will head a pro-German puppet regime. Maintaining Skoropadsky in power will mean that large numbers of German and Austro-Hungarian troops will have to be stationed in Ukraine for the foreseeable future, preventing them from taking part in Ludendorff‘s spring offensives on the Western Front. The Finnish Civil War is now in its endgame. Many of the Red leaders have by now fled to Russia. After the losses of Tampere and Helsinki, the only remaining centre of Red power is Vyborg in the east of the country, but today it too falls to the Whites after several days of fighting. Some Red Guards manage to break through enemy lines and head off towards Russia but large numbers are captured by the Whites. Vyborg sees a number of unsavoury episodes. The Reds executed some White prisoners before the town’s fall. Now the victors take their turn, summarily executing some of their captured Red Guards. The Whites also kill members of Vyborg’s Russian community, seeing them as Red sympathisers. Austria-Hungary is a large multi-national empire. At the start of the war the army was largely organised on linguistic and regional lines, so that men from one place who all spoke the same language were placed in units together. The downside of this approach is that some nationalities of the empire are (or are deemed to be) less loyal than others. Czechs are seen as particularly disloyal and putting them together in all-Czech units appears only to encourage their disaffection, leading to malingering and desertion (with desertion on the Eastern Front being so great that Russia was able to form a Czech Legion to fight on its side against Austria-Hungary). Serbs and Romanians are also regarded with suspicion by the authorities. In an effort to prevent military unrest, the army of Austria-Hungary is now being reorganised. Units will henceforth contain men from across the empire. This will hopefully make it harder for disaffected minorities to work together and may also engender a greater sense of pan-empire nationalism in the army. There are of course downsides to this reorganisation. The esprit de corps of units is undermined by throwing disparate elements together. Combining men who speak different languages together also undermines unit effectiveness. And the elite units of Slovenes and Croats that had fought so well against the Italians are now diluted by the addition of more unruly elements. The danger of this reorganisation is that it might spread the bacillus of disaffection throughout the entire army instead of keeping it safely isolated.